High levels of deforestation in Shiwalala village in Shiwang’andu district of Muchinga province have threatened human and domestic animals’ existence as three rivers in the area have dried up as a result. Shiwalala village committee secretary Godfrey Nkamba says the dried up rivers are kakoko, minkombwe and Kapububu rivers. Mr Nkamba said that the rivers dried up because people in the areas were illegally cutting down Timber at the source of the named rivers. ZANIS reports that the Village Committee Secretary said this during a ward development review meeting which was held at Konja primary school in Mwila Kabuswe ward over the weekend. He said that if the venture of deforestation continues in Shiwalala village the area will robbed of its natural resources. 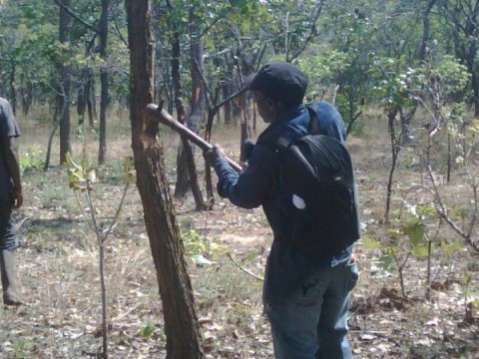 Mr Nkamba therefore said there is serious need for the forestry department in the district to strengthen their efforts in the fight against deforestation so as to save nature.